Belle & Sebastian. The first tune that I heard (without realising who it was) was the theme tune to the Channel 4 series “Teachers”, which, I think, was Andrew Lincoln’s first TV series following the mighty “This Life” (SUCH a great series!). I never really understood just how HUGE a band could be without having a single massive hit, until I heard this band. Moving swiftly on this Friday evening to the subject at hand. Beer. In bottles too! If you have ever read one of these before, you will know what comes next! If you haven’t……The format is slightly changed…. 1. The Beer, 2. The Brewer, 3. The Strength, 4. The beer style, 5. The Price & Size, 6. The discount (and why, eg: for CAMRA membership or shop deal, where applicable) 7. Where from, and, If a website for the vendor exists, the hyperlink to the shop / brewer website, just in case you are inspired enough by my ramblings to make a purchase! Here goes…. Bright golden beer, plenty carbonation and light thin white head doggedly sticking around giving a fruity tart aroma with lemon and kiwi. Light to medium-bodied, this is tart with lemon, a little peach and a touch of kiwi too with a little spiciness tingling the gums. Really refreshing with a nice fruity bitterness kicking in in the finish. 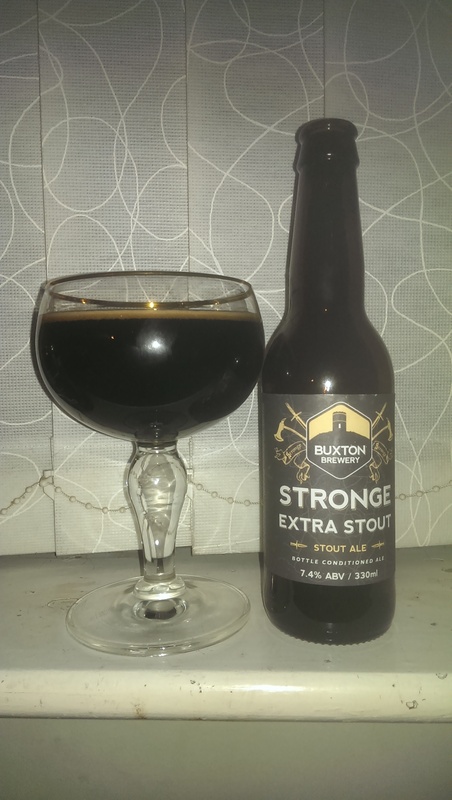 A smooth, really easy drinking and refreshing beer, perfect session material at this strength. 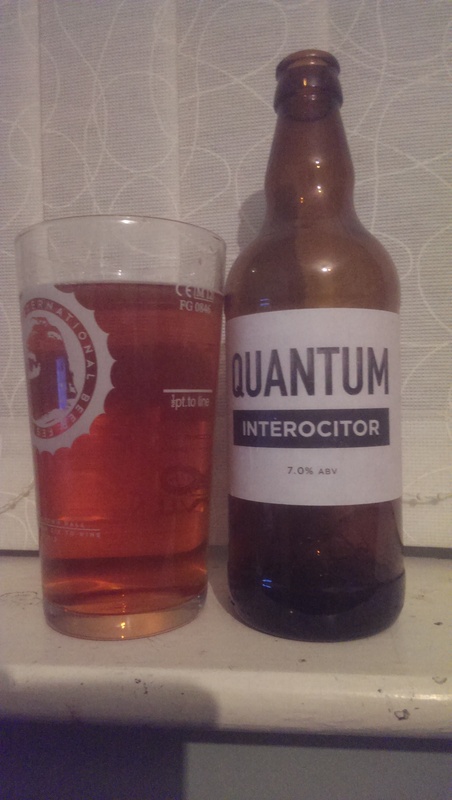 Another excellent beer from this one man Micro. Having rarely had Offbeat beers and NEVER having met the talented “chick” that brews them, these seem to be coming thick and rather fast! AND I bumped into her last week at the World Beers Festival! 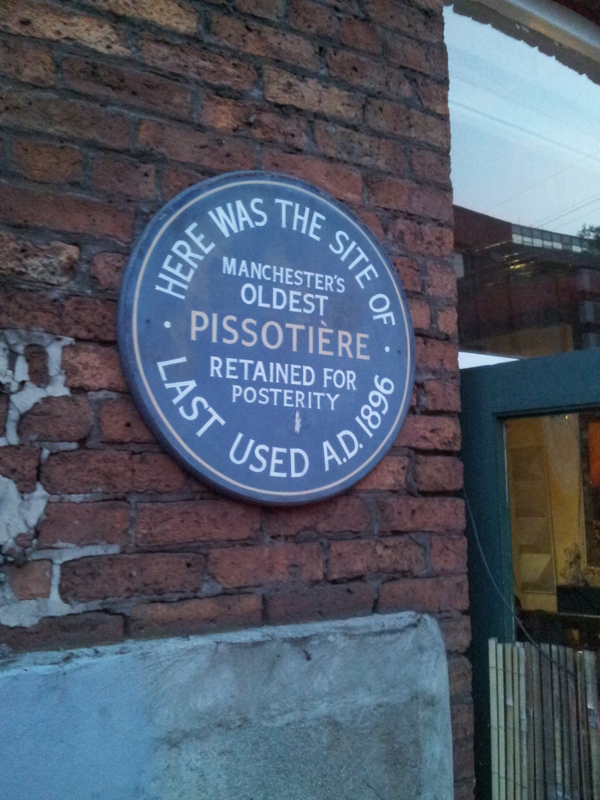 Shame there was no Offbeat beer there…so I’ll rectify that now eh? 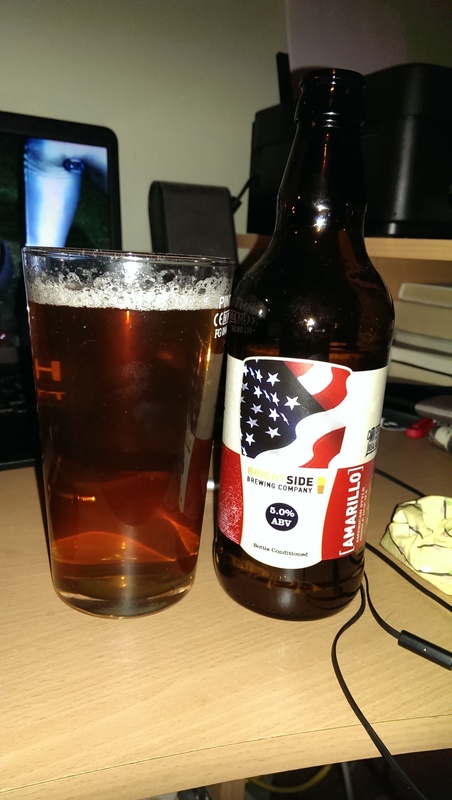 Amber beer with an abundant white head and a big aroma of fruity marmalade. Oooh…this is a hell of a beer! 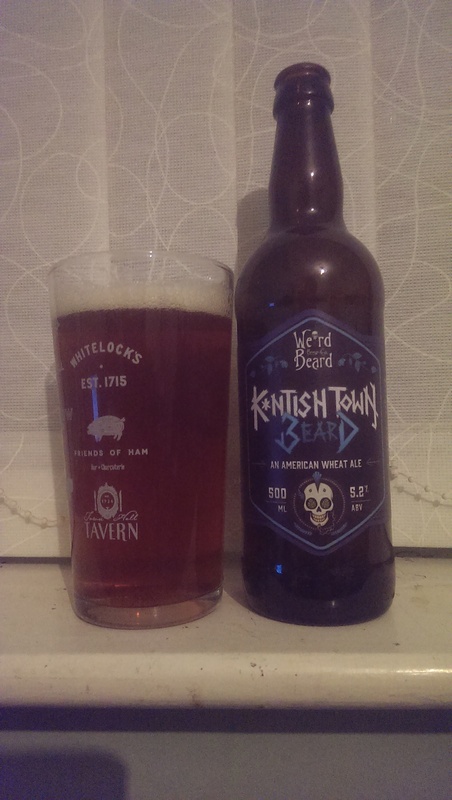 A big warming chewy toffee malty mouthful with a big mixed marmalade flavour. This is followed by quite a substantial bitterness which in turn gives way to a hefty whack of pine in the aftertaste. And that’s just the first mouthful! This is superb, each mouthful just amping up the sensations. And the hoppy resinous finish just builds and builds. Fabulous! 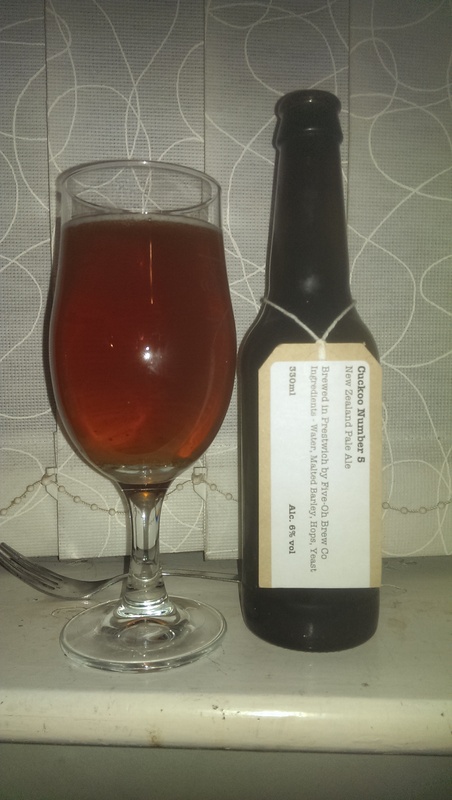 Bought on the (official) opening day of the shop located within BlackEdge Brewery’s unit in Horwich (just off Lee Lane), read here for review! 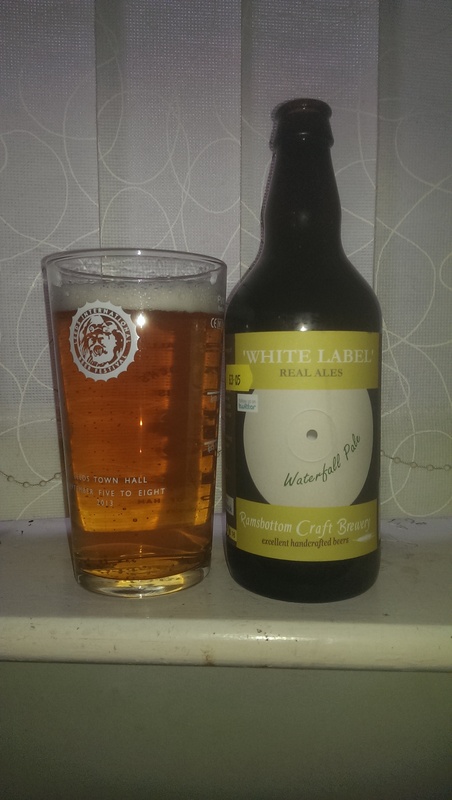 Very pale, straw yellow-gold beer with a lasting white head and a distinctive tart lime and grapefruit aroma. Oh this is LOVELY! 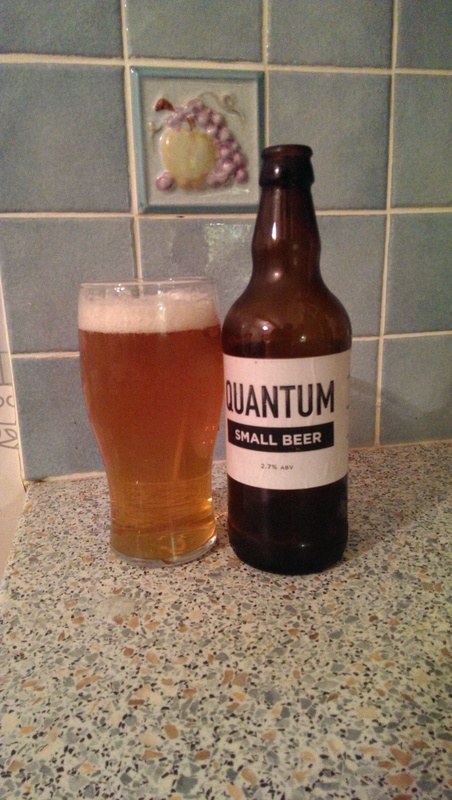 A light biscuit malt medium-body, really fresh grapefruit, lemon & lime in the mouth. Beautifully refreshing and tart. I keep licking my lips! My gums are tingling too! Really dry and gently bitter finish with plenty enough piney stuff in the aftertaste. 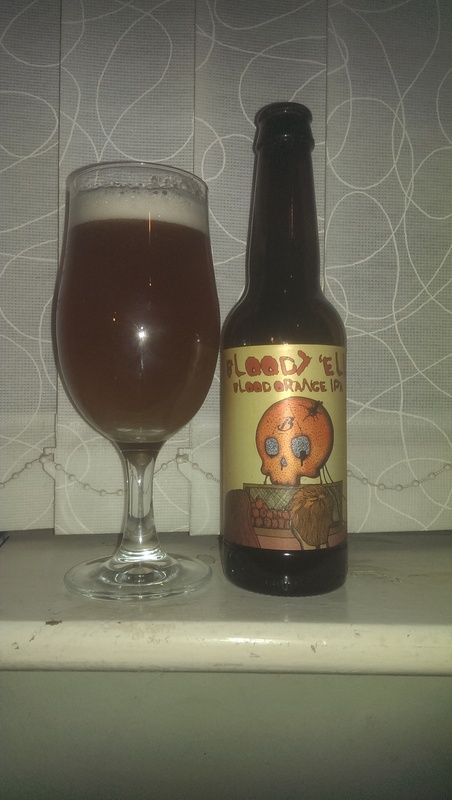 A real cracker and the best pale I’ve had from BlackEdge by a distance. Cask version please? NOW! Raj does get some rather interesting beers in his rather bijou little shop. Just to think that when I first went in, it REALLY was a typical convenience store. Now? The beers appear to have multiplied like the rabbits on Lundy! Now, almost certainly the largest selection of UK Craft beers in Manchester. And still growing! A deep golden almost amber beer with a lingering soft white head and a big orangey aroma with something more delicate like peach blossom. A big IPA (almost DIPA in feel) with more than an initial hint of toffee malt sweetness with lashings of orange in a full-bodied mouthful. The finish isn’t as bitter as I expected with a nice gum tingling spiciness but there is a big piney pay-off with lots of sticky resins in the aftertaste. Oh yes. A lovely beer indeed! Named after the (rather excellent) brewer, rather than a statement of strength! Seriously black beer. Seriously boozy coffee nose. Seriously full-bodied. Seriously smooth. Seriously? Boozy coffee nose leading to more slightly sweet coffee. Smooth as a George Clooney chat-up line and twice as tasty! That smooth coffee underpins a really rather nice coffee overnote followed by a long dry finish. A really smooth grassy hop aftertaste completes the wizardry. Seriously good! #Beergasm! For those of you who don’t know by now, this brewery is the brainchild of Jamie Hancock, barkeep supreme at The Port Street Beer House. If I’ve outed him, ah well, I’ll do FAR worse things in the years I have left! At the moment, these are (still?) only available for purchase from the rather fine Cuckoo bar in Prestwich, but not for much longer I suspect if he keeps making beer as good as this! Deep golden with a light white head and lovely aroma of passion fruit and a little gooseberry. Smooth, really smooth. Medium-bodied and really fruity with a spicy tingle to the gums. More passion fruit, kiwi and some peach in here, like a boozy Um Bongo! Manages the trick of being quite high in alcohol, but really refreshing too. There is only a gentle bitterness in here, really smooth, leading to a beautiful smooth hoppy grassy herbal aftertaste. Quality. 7. 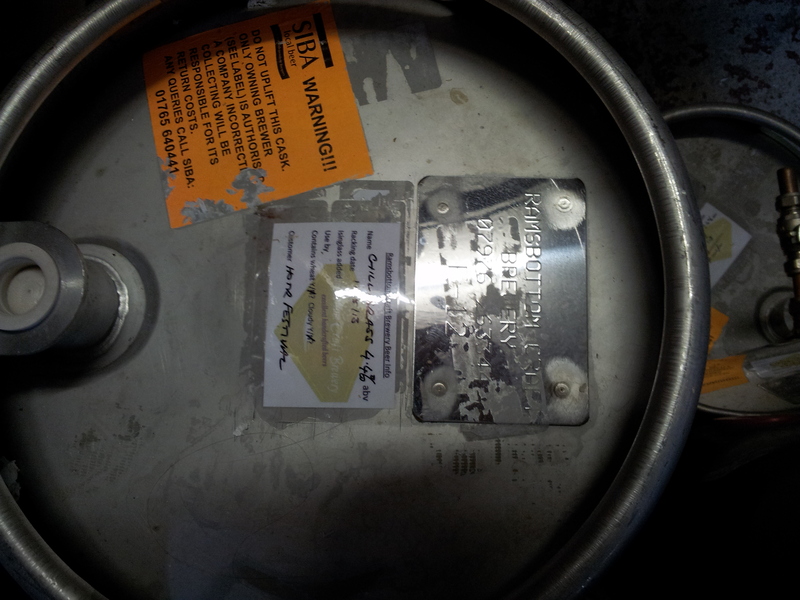 Mystery Beer No 1 (A Bonus Beer if you will!) 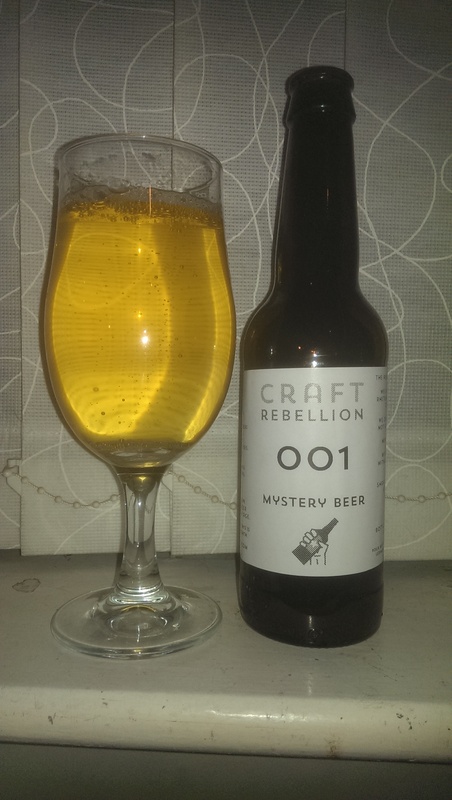 – Craft Rebellion – 3.8% abv – Saison – Free ! – 0 – In the post! Craft Rebellion? Shop? Guerilla Marketing Campaign? I don’t know myself, all I know is that one day I got a card from Royal Mail in my postbox…..I kind of like free beer. I can remind the sender of my “rules” and drink free of guilt! The idea appears to be that you receive a beer and try to guess what it is! I warned them that a) I’m USELESS at guessing and that b) I’d only review it if I really enjoyed it! 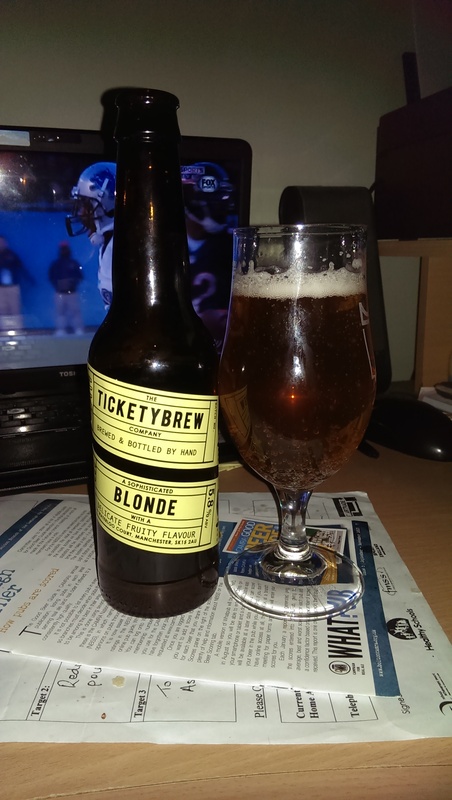 (As with all that I review) Unwritten contract agreed…..
Ultra pale with, initially, quite a large white lacy head yielding a funky cream soda aroma with a little nose wrinkling spice. Light bodied and effervescent yet smooth drinking. 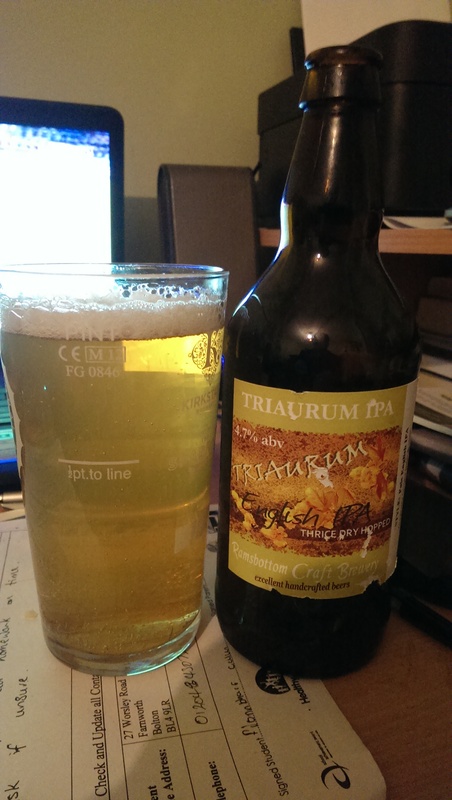 Fruity with some citrus understated and a maybe touch of pineapple, a nice subtle sourness to this too (lemon?) . A really refreshing beer (as a saison should be!) with a dry finish and a nice grassy herbal reminder in the aftertaste. Well, I have an early start tomorrow (Saturday) as I go on a bit of an adventure….report to follow! NB : If you’ve got any thoughts on the nonsense that I talk or post, let me know in the “comments” box below – entertain me! I bought my first 3 vinyl 7″ singles at the age of 13 with 2 £1 notes (remember them???) I found soggily stuck to the road during my morning paper round. I think (well, it WAS 35 years ago) I bought them at a shop on Salford precinct. They were….. I Don’t Wanna Go To Chelsea – Elvis Costello & The Attractions; What A Waste – Ian Dury & The Blockheads & Jocko Homo – DEVO. I’m rather proud of those being my first! No “Birdy Song” here….oh no! Moving swiftly on this Friday evening to the subject at hand. Beer. In bottles no less! If you have ever read one of these before, you will know what comes next! If you haven’t……The format remains…. To be honest, I’d never heard of this brewer until one recent afternoon, I spent far too much time & money in Raj’s excellent emporium (which is ALL too easily done!). Each time I go in there is more and more beer on his shelves. I hear that he may be opening a beer shop/bar later this year. Should be interesting! This is an opaque black beer with a head creamy in both colour and texture. The aroma is of roasted barley and a gentle milky coffee. 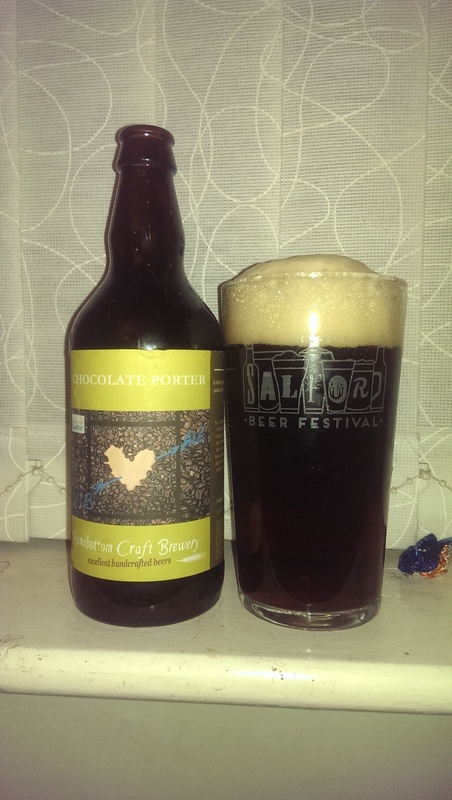 Medium bodied, initial flavours are of roasted malt with a hint of bitter chocolate followed by a pronounced bitter character. The finish is dry with quite a grassy hop aftertaste. A nice stout indeed with none of the sweetening additives like chocolate and quite Irish in character in my opinion. Superstar DJ and occasional brewer (!) Rik Garner (He really IS a brewer, honest, just that he spins some great vinyl!) brews some quite phenomenally good beers in his well-appointed Salford Railway arch! 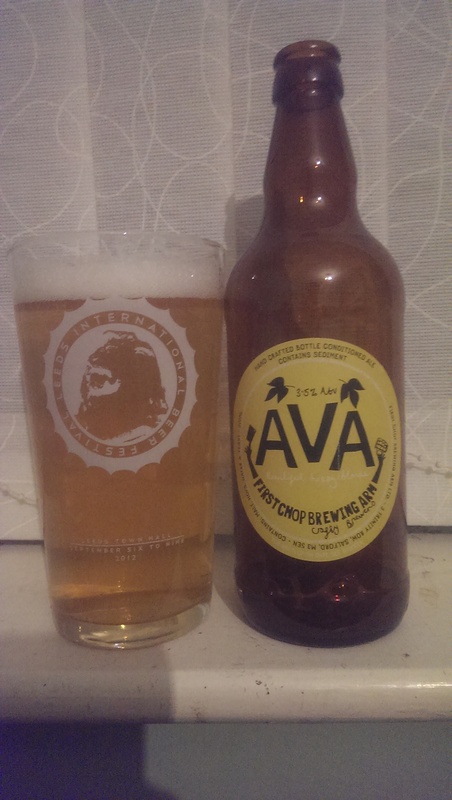 I’ve had (and recommended to others – frequently) AVA on cask, but I’d struggled to find it in bottle. Until Dan & Gina stepped in with their expanding range of local beers! If this was any paler, it’d be water! Straw yellow with a fluffy white head and a tart citrussy aroma with lemon zest and a little grapefruit. Ooh but this is a tart little number! Quite medium bodied for such a low abv beer, this is chock full of tart grapefruit and bitter lemon. Initially, quite a shock, but this is one seriously quenching refreshing beer, a nice bitter lemony hoppy finish rounds it off nicely. A beer of such low strength has no right to be so full of flavour! A belter. It is a rare beer that I always have when I see it on draught. This is one such. Another brewery I see all too little of in bottles. I did have some draught, but that was in Ramsbottom itself and I don’t see Matt’s beers often enough, but then I saw them in Great Ale Year Round and all was right in the world! A deep golden beer with a lingering white head and a juicy fruit aroma with mango (surprise) and peach upfront. Smooth and full-bodied. The fruit is upfront on the tongue with that juicy mango dancing a Macarena! Really smooth and almost creamy (mangoes & cream anyone?) 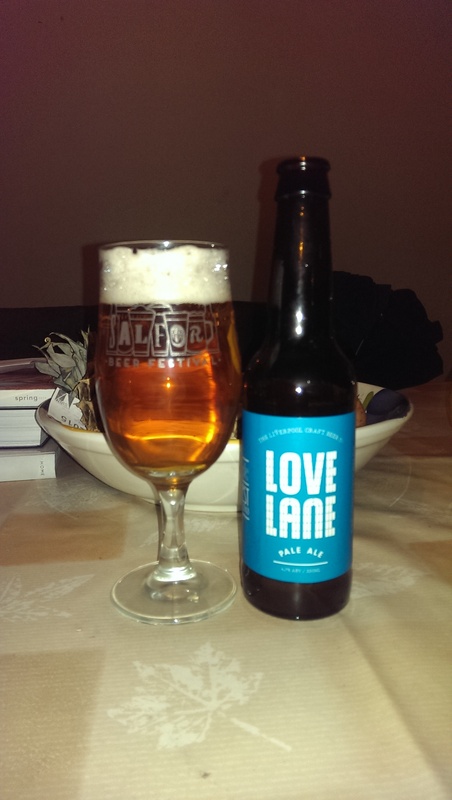 A lovely fruity beer with a dry finish and substantial resinous and fruity aftertaste. 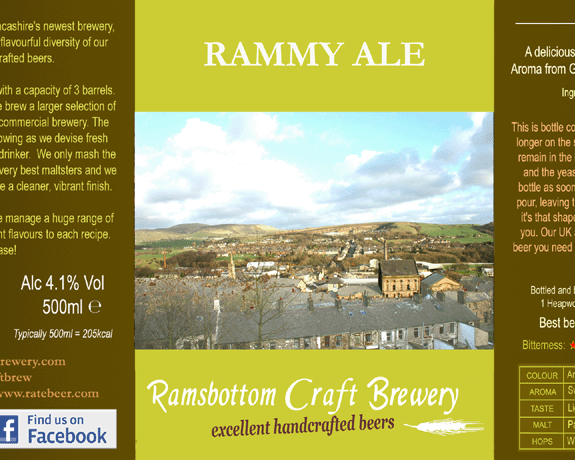 A cracking beer from this small Rammy brewery. Nice to see his beer available closer to home! 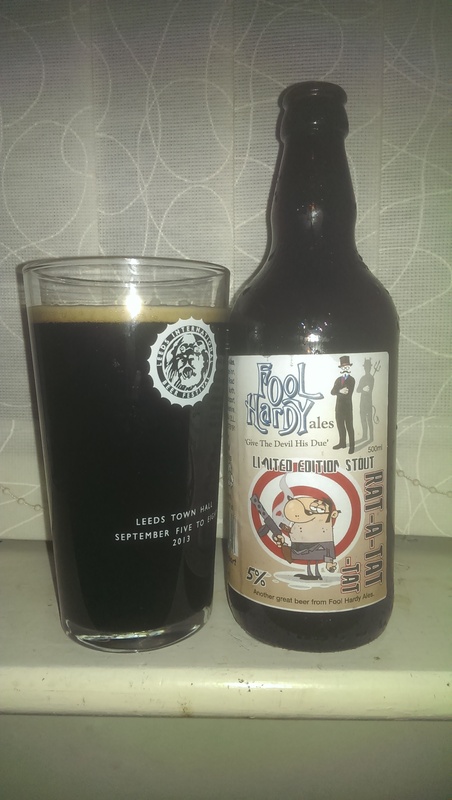 Never been to The Hope in Stockport, nor ever had a Fool Hardy Brewery beer in any form. So I was glad to see some at Dan & Gina’s excellent little Micro Bar in Bolton Market. The beer itself…………. 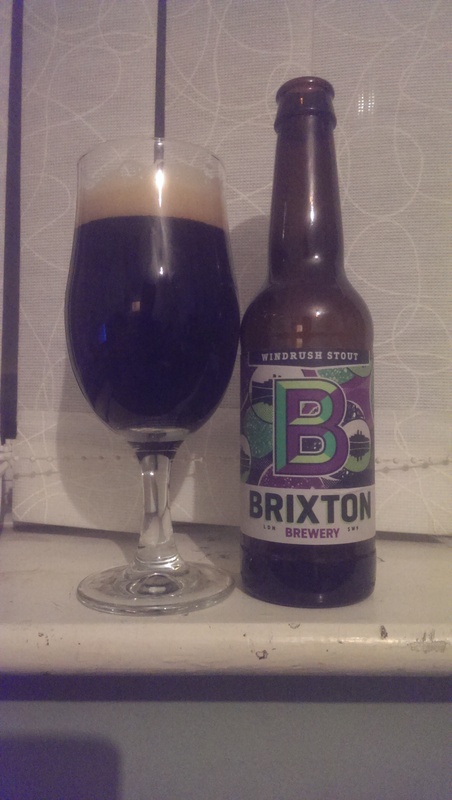 Black with a beige/tan head and a lovely welcoming aroma of chocolate/cocoa. Oh yes, my boxes are ticked! Medium to full-bodied and with a lovely smooth feel. The chocolate I would describe as just short of a “Bournville” flavour, bittersweet. A lovely mouthful with a nice hoppy bitter edge to it and quite a nice hoppy/coffee edge to the aftertaste. Excellent! A deep gold almost amber beer this with a clinging white head and a big whack of citrus hop on the nose (presumably the Cascade & Centennial). Really smooth in the mouth with almost a creaminess to the texture making it feel really full-bodied. Refreshing, as you would expect of a Wheat Beer, there’s all kinds of fruitiness in the mouth, with satsuma, grapefruit, a bit of apricot….this mellows to the satsuma/tangerine following the swallow. There is an understated bitterness to the finish followed by a nice, none too assertive resinous aftertaste with a lip smacking tangerine taste. And I drank this all myself! Always like to have one of Jay’s beers in the stash. Call it a Comfort Blanket! A deep golden almost bronze coloured beer, minimal white head quickly diminished leading to a herbal grassy aroma. Full-bodied in the mouth with a certain hedgerow fruitiness with a little gooseberry maybe? Smooth and easy drinking, dangerously so for a beer of this strength! Right then. That’s it for another week. It’s getting late and I need my ugly sleep to be ready for a MTB with Privateer Beers at Great Ale Year Round tomorrow (Saturday) morning. See you there? With all of this drinking malarkey, one can often just “Go With The Flow” and just drink great beer from wherever it may emanate, but it has struck me recently how little Manchester brewed bottled ale I have been drinking recently. This was brought sharply into my focus when I saw a post from Brightside (now) of Radcliffe – and now my closest micro! – that they had commenced bottling their ale. I was, to put it mildly, rather excited. Most of the beers that I have been prattling on about have, I realised, been from either Yorkshire or that there London. High time for something more…local. 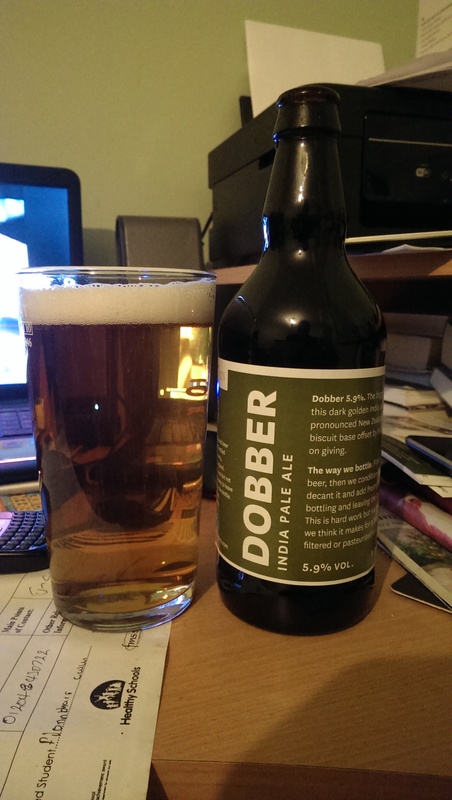 I don’t often take home beer from my frequent Manchester jaunts, so it was a joy to locate a shop – not too far from me – which was starting to sell not only great bottled ale, but, increasingly, great bottled ale from the Manchester area. That place is The Liquor Shop on Bury Old Rd, Whitefield (150 yds from Besses O’Th Barn Metro stop). Stocking beers from as diverse brewers as The Kernel, Mad Hatter and Wilson Potter, Raj has started to build a really good range. Very competitively priced too! A friendly guy who likes his beers, he offers a 10% discount on 12 or more bottles (15% on 24!) too. Over half of the beers below were sourced from his wee shop (the others being sourced directly from the brewers themselves). If you live in Central or North Manchester, pay him a visit, you’ll thank me! Wow. Then, more wow! My good friend Colin & I had this on cask at Port Street last month and it rocked our worlds! I don’t know how brewers can make a beer this light in Alcohol, so bloody tasty! (OK, yeah, I know it’s the hops – Magnum, Columbus, Cluster, Citra & Chinook, in this case – but you know what I mean!) And without making it insipid? It’s MAGIC! Well…back to one of favourite Alechemists…Mr Krause! First, the label. Classy and minimal. Tells you what it is and lists the dry goods (hops & malts) on the side. An example to many.A golden beer with an abundant white head which quickly settled. 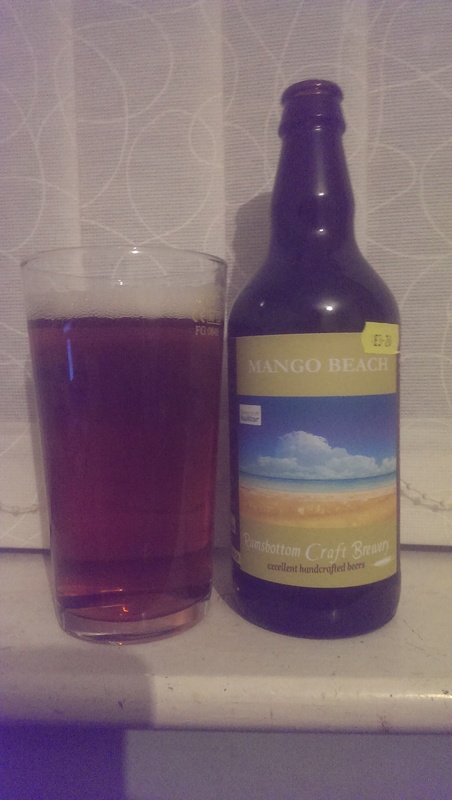 Abundant aromas of mango and pineapple flying from the glass , a fruity delight. In the mouth? This is light bodied (as you would expect at the strength), there is a little underpinning light biscuit sweet note to support those wonderful hops! Mango, grapefruit and orange fruit danced on my tongue leading to a fabulous bitter fruity finish with lots of pine staying on in the aftertaste. A cracking beer from Jay. 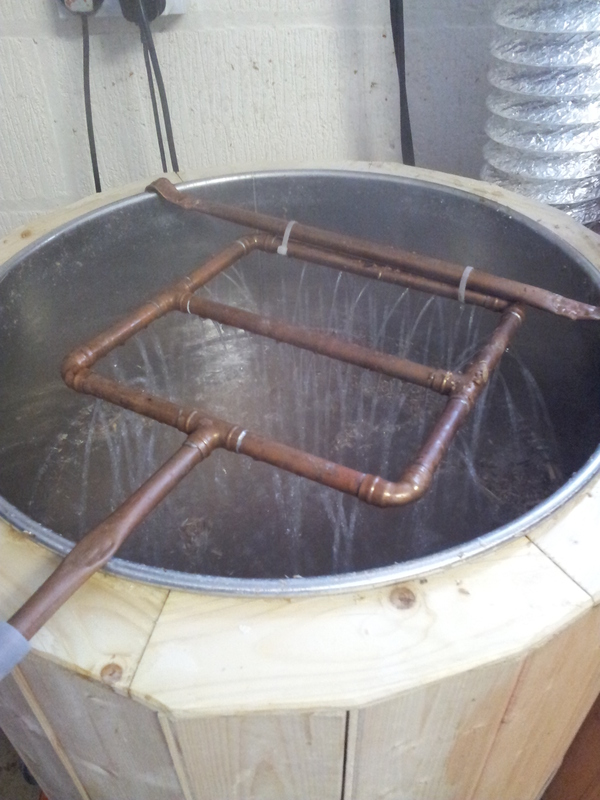 Can’t wait to crack the Smoked Imperial Treacle Stout! Starting off behind a baker’s shop in Bury, these fine people are now my closest micro brewer, having relocated brewing operations to Radcliffe. In all honesty, it was their announcement that they had commenced bottling their ales, that made me think of a Manchester beer post! 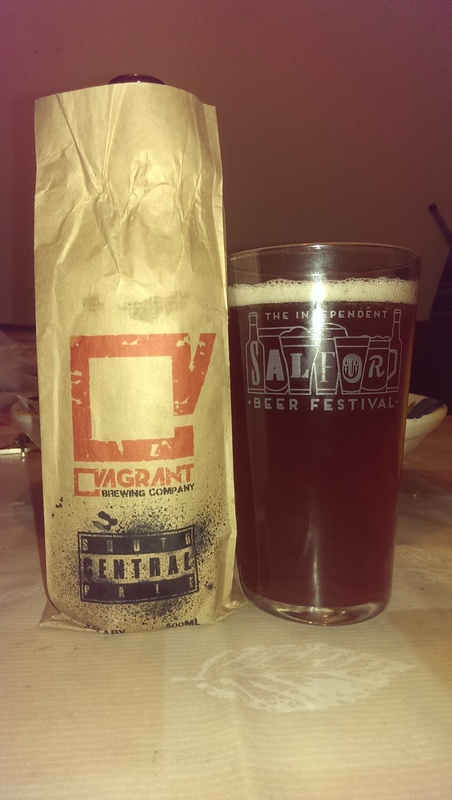 This beer was a recent award winner at the SIBA NW Festival held at Staveley recently on cask …. having not had it at all, I was keen to taste this bottle. Golden to bronze coloured with a fluffy white head giving up some serious citrus aromas. Bitter orange and tangerine contributing to an almost marmalade like nose. Biscuit sweetness supports the marmalade orange citrus in the mouth. This slides into a crackling bitterness and dry finish with an aftertaste with some more fruit yet distinctive piney tones. A cracking first bottle for me. More please! 3. 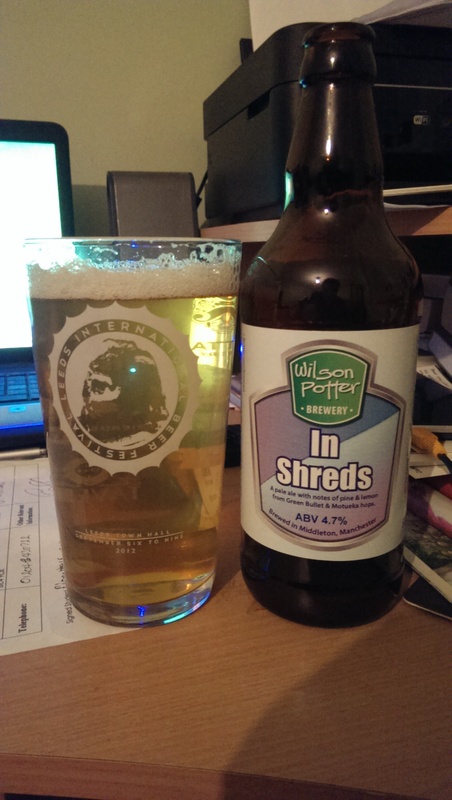 In Shreds – Wilson Potter Brewery (Middleton, Gtr Manchester) – 5% abv – Pale Ale – £2.33 (3 for £7) (500ml) – Direct from the brewery. I’ve written of my love for the beers that Amanda & Kathryn make on a number of occasions, but hadn’t had much recently. Weekend before last, I had the briefest of opportunities to pop up to the brewery and have the quickest of chats over a couple of halves, of which, this was one. A bitter hoppy delight it was too. So I snapped up one of their 3 for £7 boxes, including this beer. 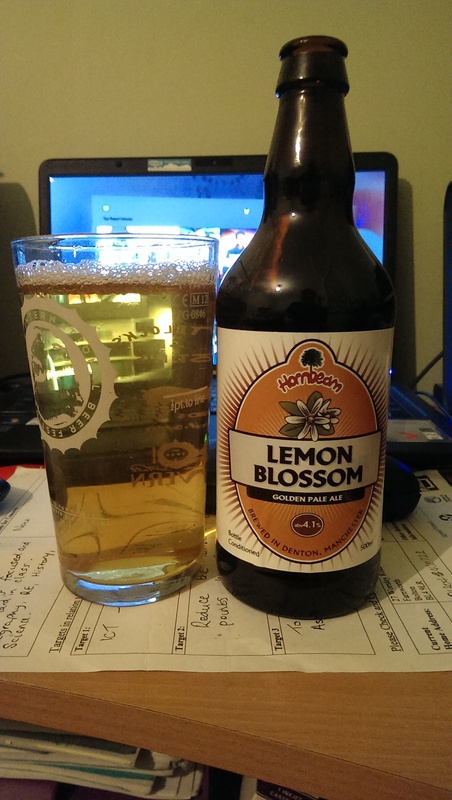 A hazy and pale golden beer this with a white head and a subtle sweet grapefruit aroma minglred (or even “mingled”!) in with some fresh mown grass (not bad for November!) Medium bodied, this had some tart lemon notes in with the still present grapefruit leading balanced on a nice bready malt base. A really refreshing beer this with a dry, grassy bitter finish. 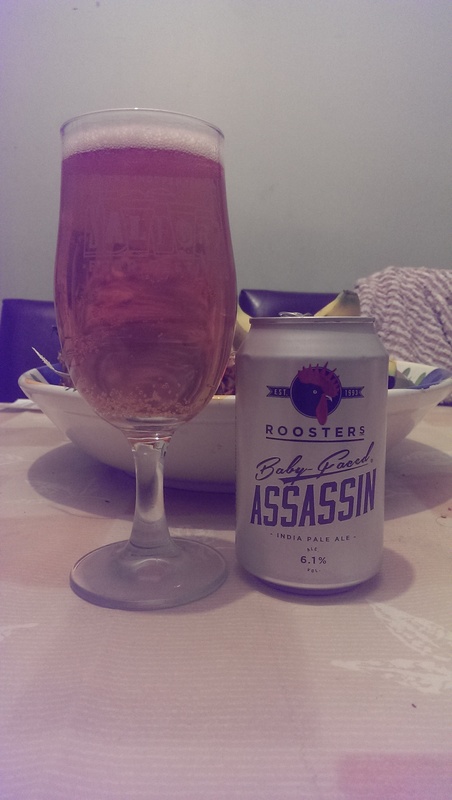 Makes some damn nice beers does Matt – try get hold of his Thai Witbeer if you can! 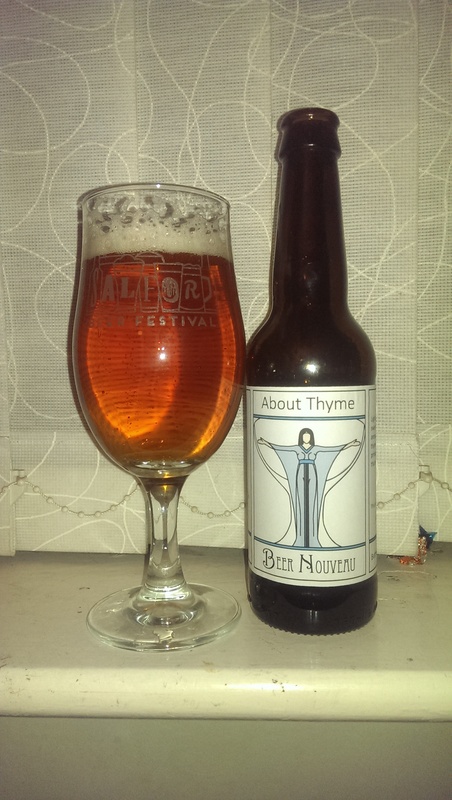 Picked this up at a recent (unfortunately sparsely attended) MTB at The Salford Arms. Kevin the brewer was a most genial host and this was among the many bottles we sampled that evening. Not a brewer I had had much from at that point, but with lovely balanced tasty beers like this, I certainly won’t be overlooking them on any bar now. Such a pale gold as to be almost colourless! 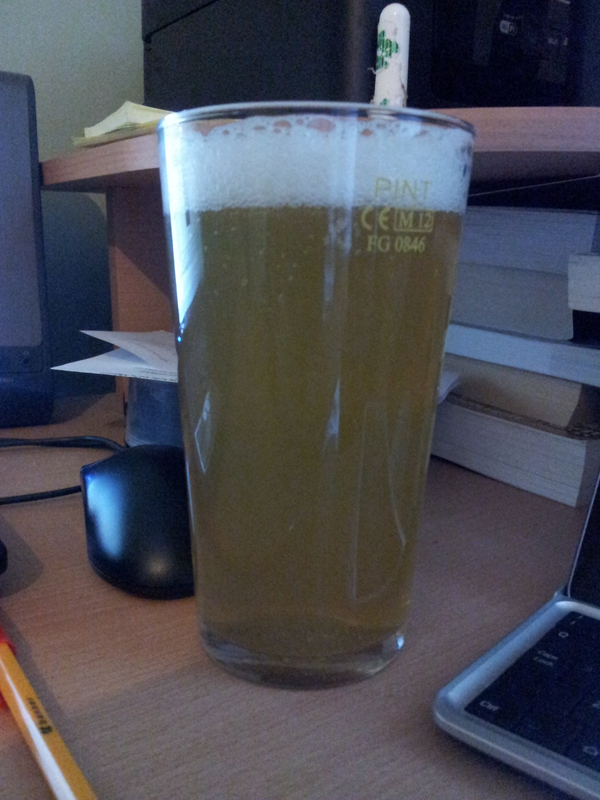 White head giving up subtle yet distinct lemony aromas (from the Sorachi Ace hops) allied with some grassy notes. Light to medium bodied with some zesty lemon in the mouth swiftly drying the mush with a lovely dry bitterness. Delicate and refreshing this. No hop monster, but all the better for it. A belting light refreshing beer that I could happily drink all night. You’ve just got to LOVE that label design haven’t you. Never seen anything like it on a bottle. So distinctive, beautiful. The beer? Another one I picked up from Raj on my first visit to his Whitefield emporium, golden yet verging on copper coloured, this was lively with a white head and that Belgian yeasty funk that comes from their house yeast with a bit of cream soda in there too. The cream soda-ish notes came through in the mouth along with some banana (that yeast again!) and some more fruity notes. A nice dry finish with a little grassyness staying on. 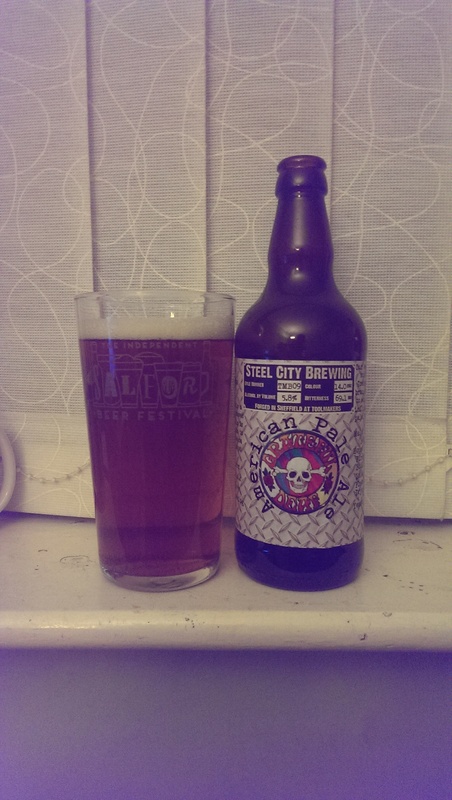 Another nice beer from this Stalybridge brewer. Now just need to try some on draught! Deepest gold beer with a lasting white head giving up HUGE aromas of mango and peach! 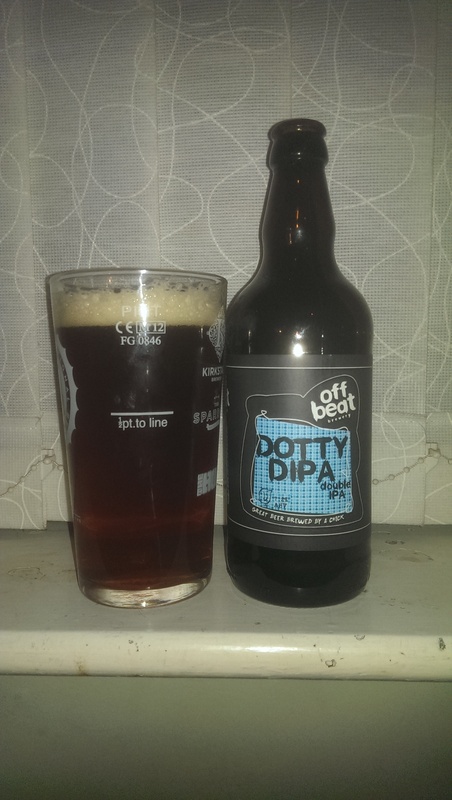 Big malty bready body supporting loads of fruity hop muscle. More mango and bitter grapefruit in the mouth, partying away and abusing my tongue, beating it into passive submission to the hops! I gave myself up to the big bitter resinous finish and collapsed, whimpering. I have absolutely NO idea why I hadn’t had this beer yet, but I want more! As I pick up more local bottles, I will post more Manchester only items, just need more beer shops to stock local beers really. Raj appears to be doing OK, others just need to take the hint really! Anyway, enough of my blatherings. Time for bed! The Bury area, totally under my radar, has become a mini brewery mecca. The area is home to Brightside (recently relocated to Radcliffe), Deeply Vale, First Chop (soon to commence brewing in their own premises in Salford), Irwell Works, Leyden (at The Lord Raglan in Nangreaves), Outstanding and (since December 2011) Ramsbottom Craft Brewery. As is becoming a bit of a theme now, I stumbled upon a Twitter ‘exchange’ between Tyson The Beerhound and Matt Holmes, the owner and brewer at Ramsbottom Craft. At the end of this exchange, tentative arrangements were made to pop round at an indeterminate date when Matt may be brewing. 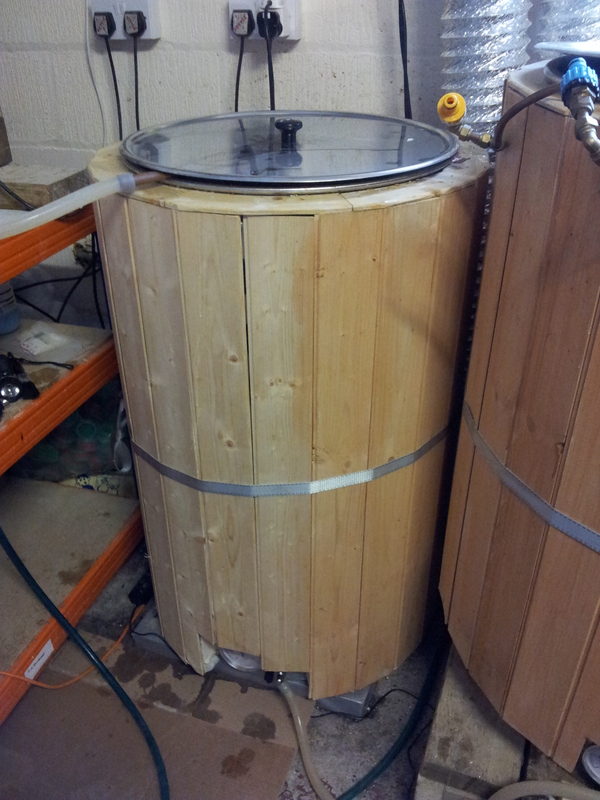 One evening I saw a tweet addressed to myself and Tyson, along the lines of “brewing tomorrow, fancy popping round…..? Well. You know me and temptation! Unfortunately that fine Beerhound couldn’t make it due to work commitments. However, I was on holiday so, one sunny afternoon, I find myself lost in Ramsbottom! Having driven onto the street listed on the website, it was all residential! Confused. I was utterly convinced I was looking for an industrial unit! A quick exchange with Tyson corrected that impression, so I headed back and knocked at the front door of a house I had recently passed. The door was opened and I was met by a genial young man (Matt) and the delicious unmistakable smells of an operating brewery! Having never gone the ‘tinned wort’ route as a home brewer, Matt dived straight in with full grain brewing, using only whole leaf hops. Sourcing his stainless steel ware from Germany, he built his own brewery doing all the plumbing, cladding and wiring himself. He registered with HMRC (boo!) in December 2011 and commenced brewing pretty much from that date. A native Midlander transported “oop north”, Matt is truly a one-man outfit doing the brewing, sales & distribution all himself, though, by his own admission, brewing is to the fore at the moment. Brew it, phone calls, then move it appears to be the way. Impressively, he fits this all around his day job as an Estate Agent too! Matt’s Cask Conditioned offerings can be occasionally located at the (aforementioned) Hearth of The Ram and The Major pub in Ramsbottom, The Coach & Horses in Edenfield (nr Ramsbottom), The Masons Arms in Rawtenstall, The Magnet in Stockport, The Angel in Manchester, Trackside in Bury and others in the Blackburn area. I sensed that Matt was a busy chap this afternoon, but he graciously let me have a taste of one of his mainstays (and I think he needed a refresher after his travails! 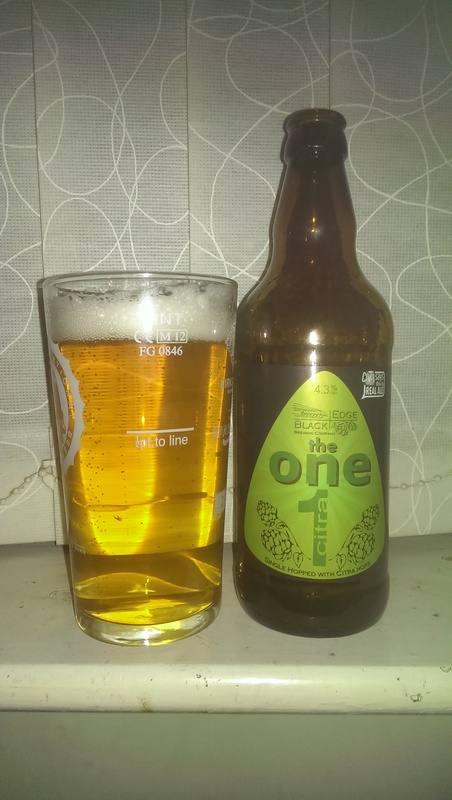 ), Rammy Ale, a nice copper coloured bitter with a good balance and dry lightly hoppy finish. With driving, I couldn’t sample any more beer, so having not had any of his beers before today, I picked up a few bottles for later tasting and said my farewells to let Matt get on with the brew. It really is amazing quite what you can fit into a small space, and there is a little room for expansion, but, as things take off further, Matt may need to consider larger premises. 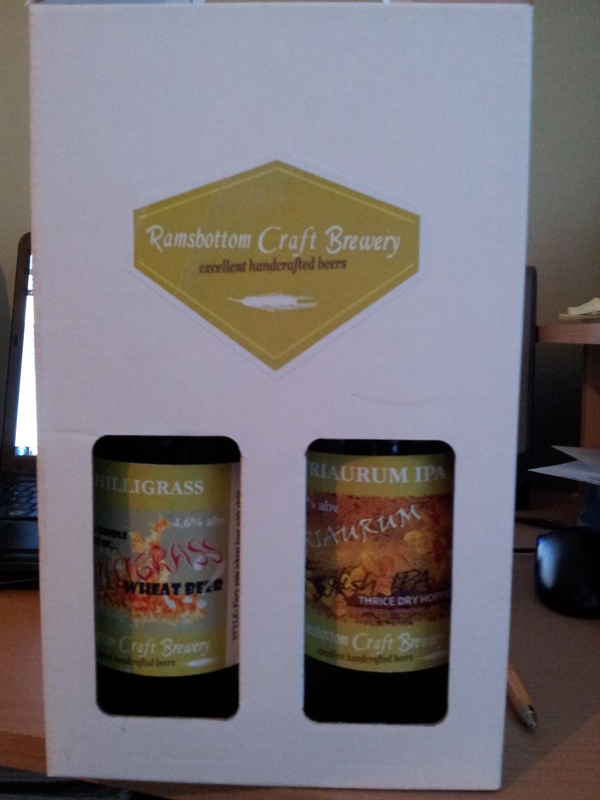 Check the website at http://ramsbottombrewery.com/. Matt runs a “Beer Club” where – within a certain radius – for £30 a quarter, he’ll deliver a mixed case of RCB beers. Later that week, I tried a bottle of the Chilligrass Wheat Beer. Extremely pale (well, it is an all wheat beer!) at 4.4% abv there was some lemony citrus and spice on the nose. In the mouth, I got the refreshing characteristics of the wheat with a sharp peppery chilli kick! It certainly lives up to its name and definitely woke up my sleepy taste buds! A nice bloke Matt. Cares passionately about what he brews, is obviously a dab had with the DIY and plumbing and indulges in some experimentation with his beers (Can’t wait to try the Thai Wit! ), both beers I tried were full of flavour with my personal preference being the lip licking fiery Chilligrass. I’ll certainly be looking out for his beers on draught at The Angel. On that note….’til next time!